Having said that, I would not be understood as suggesting that education in Turkey is without fault. The big topic of discussion in the media here at present is a local phenomenon known as the dershane. It’s not something I’d had any experience of before coming to this country, but according to Wikipedia, they are a fairly common feature of education in many parts of the world, known variously as Cram Schoolsor Coaching Colleges. The reason for the fuss in Turkey is that the government has announced its intention to ban them, and this is seen as another as yet another nail in the coffin-lid for democracy and the secular way of life. I’ve had a few years to examine the education business in Turkey, and I have to say, sometimes the plight of young people here brings a tear to my eye. Part of the problem, of course, is that town-planners (and I use the term loosely) have managed to squeeze three times the population of Sydney into an approximately similar area of land. As a result, green areas are in short supply, the expected antipodean norm of grassy football fields and swimming pools in state primary schools is unimaginable, and most kids hone their soccer skills on the asphalt of the street outside or, if they’re lucky, the concrete car park of their apartment building. Nevertheless, you can’t blame just the town-planners. 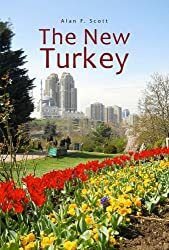 The population of Turkey was around sixteen million in 1935. By 2012 it had grown to an estimated 76 million – a five-fold increase. The growth rate of Istanbul is even more spectacular; passing the two million mark in 1970, it now stands around fourteen million. In the twenty years from 1980 to 2000 numbers mushroomed from three to eleven million. When I first came to the city in 1995, city fathers were unable to guarantee uninterrupted domestic water and electricity supplies. At least they seem to have those problems sorted out. The availability and standard of health care is also vastly improved. Education will be next on the agenda, inshallah! as Muslims are fond of saying. Whenever that happens, in spite of the foregoing mitigating circumstances, it won’t be too soon. Not so long ago I worked in a private high school in Istanbul run by one of the city’s better known educational foundations. The school was quite well equipped in terms of science and computer laboratories, sports facilities and purpose-built rooms for fine arts and music. Sadly our students had little time or encouragement to benefit from any of these. The school day was divided into nine 45-minute periods, almost all of which were devoted to academic study. Well, by academic study I mean predominantly rote-learning sessions conducted by a teacher with textbook and board marker in hand. The infrequent PE classes seemed to consist largely of the lads being thrown a football and sent off to the pitch to let off some steam. When the school day ended at 4.30pm there was a mass exodus out the school gate, and by 4.45 the campus was pretty much deserted. It was a far cry from even my own high school days, never mind more recent years when I returned to my alma mater as a teacher. In one of New Zealand’s most prestigious secondary schools, seven periods a day were considered sufficient to cover the curriculum. At 3.15 began what many thought of as the more important part of school life: teams and individuals practised every conceivable sport; there were music lessons, debating teams and dramatic productions. Students developed their creativity in fine arts and technical workshops. There wasn’t one school basketball or football team – there were twenty rugby teams, ten soccer teams, seven hockey teams, as well as tennis, table tennis, weightlifting, cycling, all competing in competitions against other schools. It was a state school, but parents expected far more than instruction in the three Rs. In such a school, being a teacher of English, mathematics or science was not enough – you were expected to involve yourself in one or more extracurricular activities. In fact, you could not consider yourself a successful member of the teaching staff until your team had won a citywide competition. It’s not that Turkish people are physical wimps or culturally deficient. Football fans show many of the characteristics of religious mania. A group of Turks will sing and/or dance on the slightest provocation. Middle class parents are as likely as any to haul their project juveniles off to sports coaching, music lessons or ballet classes. The problem seems to be that for the vast majority, it all comes to an end when they hit high school. Then begins the serious, nay, all-enveloping process of preparation for the university entrance examination. There are two times in a Turkish student’s school life when he/she is subjected to an external public examination. It’s hard to give specifics because the format and organisation seem to change with bewildering frequency – but the essence of it is that, at the end of the eighth year of primary schooling, kids sit a multi-choice exam in a range of subjects and the results determine where they will continue their education at secondary level. High schools, private and state, are ranked according to a strict hierarchy, and have the right to choose students according to the points they gain in that exam. A similar sifting process takes place at the end of four years of high school study. Another multi-choice exam determines entry into the more desirable (and free) state universities, or the plethora of fee-paying private institutions offering greater or less value for money. It shocked me when I first learnt that students graduating from a high school in Turkey had very little choice about what course they would take if they made it to a university. Students with any claim to academic capability tend to be channelled into mathematics and science-weighted courses at school. High points in the university exam will gain a student admission to one of the top universities in medicine or engineering. Points at the lower end will see the student relegated to studying international relations or translation studies at one of the dodgier private colleges. Individual preference or inclination has little or nothing to do with which faculty or university you find yourself in. As a result, it’s pretty obvious that gaining a points advantage in those two exams to enter a high school and/or a university has become the dominant focus of the entire education system in Turkey. One or two points can, in fact, make a major difference, so parents exert enormous pressure on their offspring to achieve a high level of success, especially when the better schools and colleges tend to be non-fee-charging state institutions. Private primary and high schools, out of their need to attract students, place their emphasis on results gained in the examinations, a kind of self-imposed league-table system, to the neglect of arts and culture or sporting activities. Which brings us to the dershane system. In a self-perpetuating cycle of parental and student peer pressure, the need to gain that all-important points advantage over your neighbour has led to the growth of a parallel tier in education where students in primary and secondary schools attend private cram schools or coaching colleges on weekdays after day school finishes, and at weekends. A hypothetical student at my former place of employment might add another ten hours a week to the forty-five required by his/her day school (not counting homework). A major result of all this academic pressure, as we might expect, is, apart from marginally improved points in the public exam, a problem of student burnout. It is probably true that the most capable students will get to the best schools no matter what system operates. It is also true that, for the majority of adolescents, the human brain has a finite capacity to absorb knowledge, and this is probably reached well before the fifty-fifth hour of weekly study. What we find is that, ironically, many students tend to take their weekend and after-hours programme at the dershane more seriously than their day school programme, and high schools become a place for essential socialising and relaxation. In short, then, is the government right in suggesting the abolition of the cram schools/dershanes? Probably the answer depends on whether you are taking a long-term or a short-term view. Undoubtedly the dershane system is a blight on the educational landscape of Turkey and is having a negative effect on the nation’s youth. On the other hand, it is equally certain that dershanes are a symptom of an educational system in crisis, and an alternative preferable to banning them is to address the underlying problems. The revered founder of the Republic, Mustafa Kemal Atatürk, is frequently referred to as the First Teacher of his new nation. After winning military victory, he set his mind to building a modern state, and saw education as the way to achieve this. Replacing the Ottoman Arabic alphabet with a Latin-based one was aimed at fostering universal literacy. Atatürk emphasised the importance of the teaching profession and the need for governments to invest in education for the future. At the same time, he concurred with the words of Juvenal – Turkish kids may not have heard of the Roman poet, but all know that Atatürk stressed the need for a healthy body in developing a sound mind. Most present day schools in Turkey pay lip service to the principles of Kemalism while ignoring the true spirit of the great man’s ideas. Still, I am hopeful. The United States and the United Kingdom may have some of the world’s top universities, but honest citizens of those countries admit that all is not well at grass-roots educational level. Those OECD people see the world through spectacles coloured by their own cultural assumptions. Of the thirty-four ‘developed’ countries in their club, Turkey is awarded the highest Failed State Index, sneaks in ahead of four countries in terms of Perception of Corruption, ranks below even the USA on the Global Peace Index despite never having invaded anyone, gets the worst possible score from ‘Reporters without Borders’ on Freedom of the Press, and another bottom-of-the-class grade for Democracy. Some of these problems are undoubtedly attributable to the fact that Turkey has the second lowest per capita GDP (slightly ahead of Mexico) of those thirty-four. On the plus side, it has one of the fastest developing economies in the world with a healthy diversity of productive activity. The Education Report quoted above acknowledges that the literacy rate and school attendance are increasing more rapidly than in comparable countries. Again, my personal experience of dealing with state bureaucracy suggests that their services are provided with far greater efficiency and less corruption than was once the case. I have discussed the questionable credentials of those borderless reporters elsewhere; and the Wall St protests of recent memory could be understood to indicate that democracy, as Leonard Cohen sang, is still in the process of coming to the USA. One of Atatürk’s most-quoted lines on education goes (freely translated): ‘Teachers, the new generation is your life’s work!’ A healthy education system will empower teachers to create a positive new future. This entry was posted in Atatürk MK, Economics, Turkish economy. Bookmark the permalink. 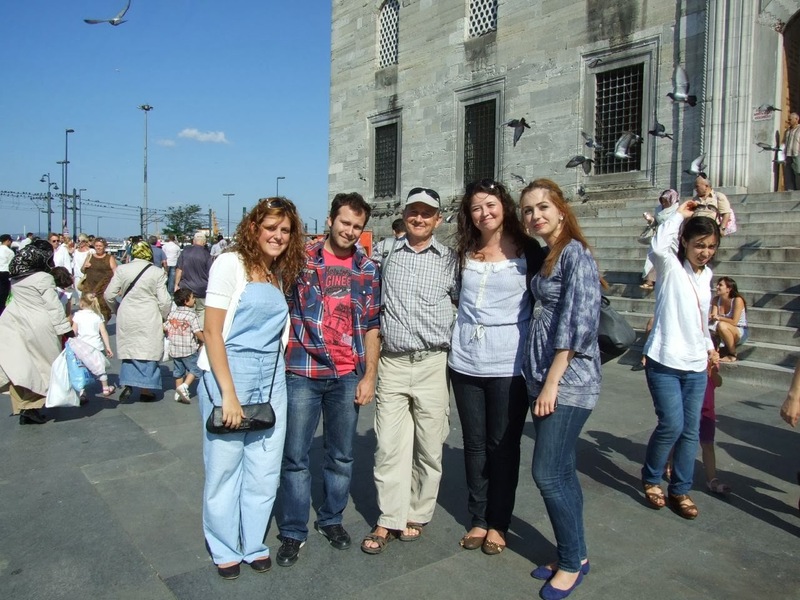 So cool to read about education from the expert in Turkey File! Great discussion on symptoms/causes of educational crisis….